May was a busy month and I wanted to share with you a look back at some photo and video highlights. Working on behalf of the people of the First District is always my top priority in Congress. 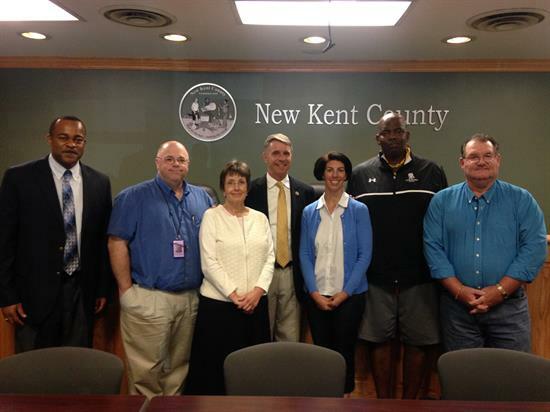 Scroll down to see all of the different parts of the district I traveled to this month. 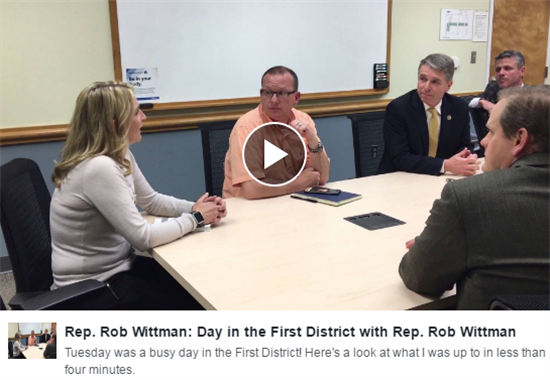 Here is a video walking you through a normal day traveling around the district meeting with constituents. Here are some photos from time I spent in the northern part of the district this month! 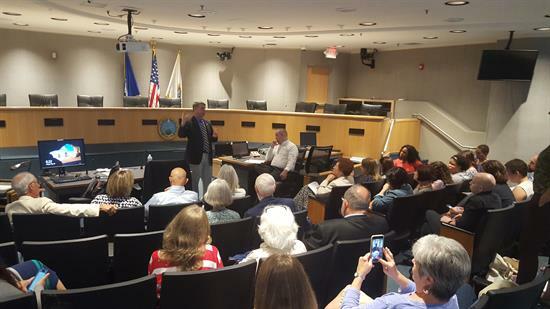 I met with a group of constituents in Prince William County. We discussed the specifics of the American Health Care Act and President Trump's budget. 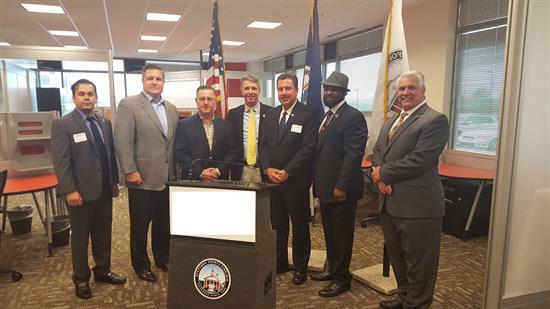 I attended the Prince William Chamber of Commerce Veterans Council Meeting to hear what we can do to make sure our Veterans get the benefits they have earned. I visited the Quantico Innovation Center (QuIC). We discussed the importance of cyber-security in the business world, and how we in Congress can make it easier for them to innovate in this space. 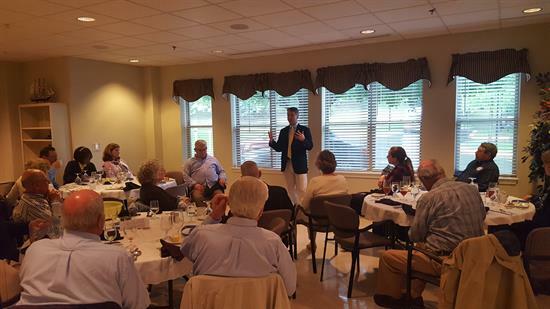 I met with the Prince William Rotary Club to discuss pressing issues in Congress, like passing budgets and spending bills on time, ensuring we devote adequate funding to our national defense, and enacting health care reforms that will reduce costs and expand access to care. These are civics students at Ferry Farm Elementary School in Stafford County. 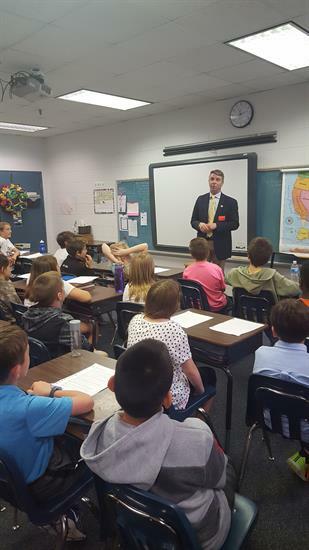 I talked with the class about what I do as a Member of the House of Representatives and what we can do as a legislative body to help our youth succeed as they begin their education. 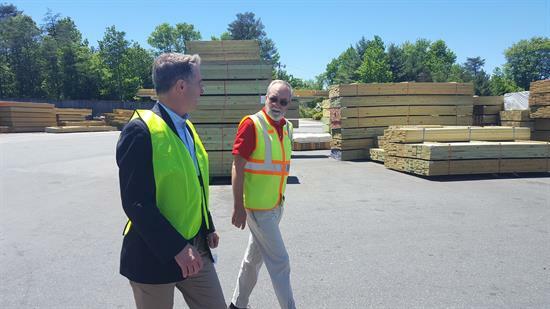 I visited the Culpeper Wood Preservers Facility, a family-owned business in Fredericksburg. They manufacture pressure treated products for residential, commercial, industrial and marine markets and employ more than 250 people in the community. We discussed current energy policy and ways that tax reform can benefit small businesses like their's. 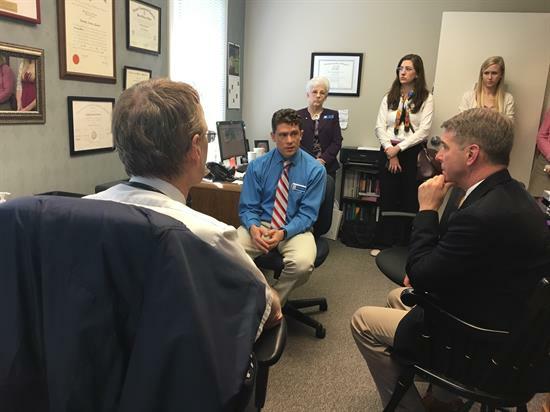 I visited the Fredericksburg Christian Health Center to talk to them about ways to qualify as a federally recognized community health center so that patients without insurance have an affordable option for care. 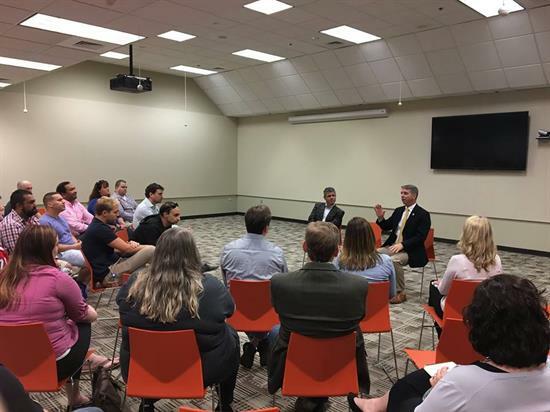 I had a town hall with Intuit employees in Fredericksburg where I received a lot of good questions about the new health care bill, the President's budget, and our nation's security policy. 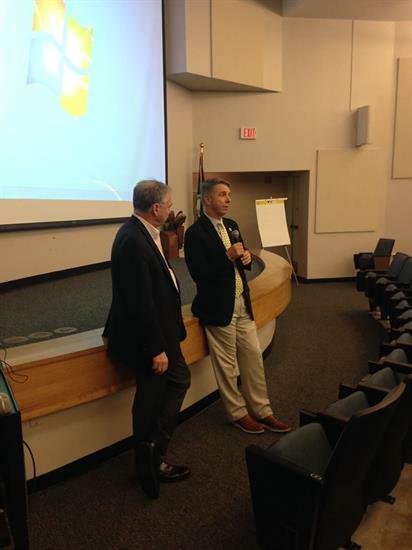 I, along with Senator Kaine, spoke at the Virginia Rural Coastal Summit in Gloucester Point. 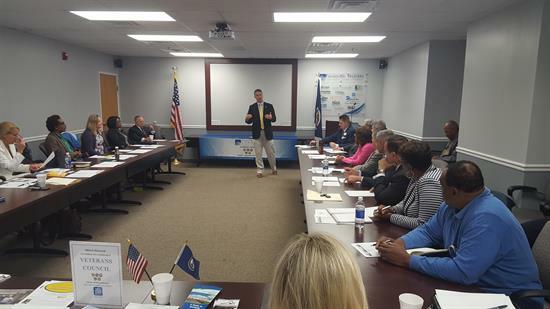 We discussed how the budget will affect coastal Virginia. 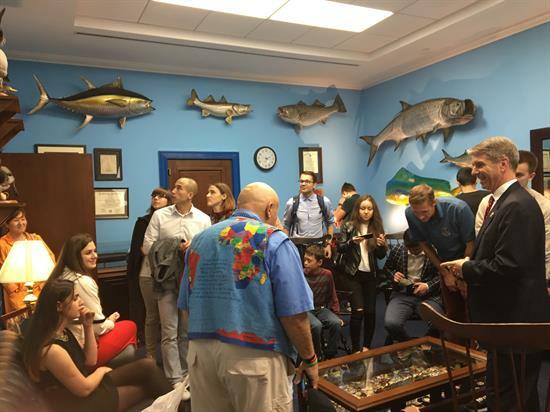 We agreed that the proposed cuts to Chesapeake Bay restoration are unacceptable. I also detailed the ways increased Department of Defense spending, specifically for shipbuilding, will affect the region. I visited the Hanover American Legion as part of an ongoing effort to hear directly from veteran constituents who have first-hand knowledge of the issues facing veterans in our community. 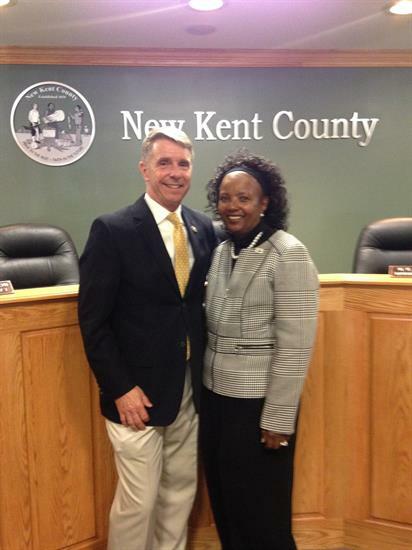 I met with New Kent Supervisor Patricia Paige, and she introduced me to the Postmaster and employees. We discussed the current conditions in the post office and ways federal and local government officials can work together to expand the facility. 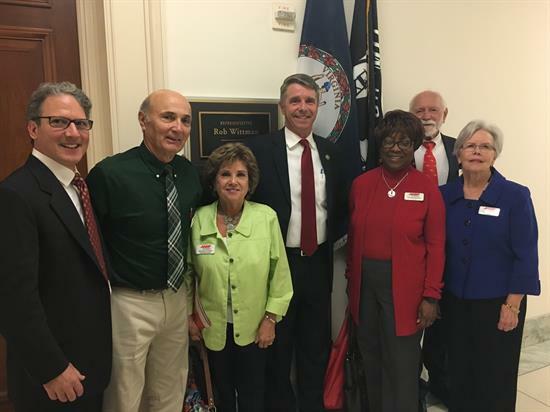 I spoke with the American Association of Retired People (AARP) of Virginia. 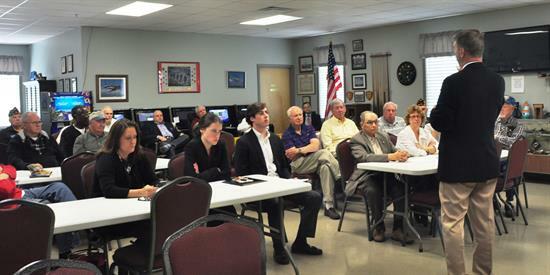 We talked through the specifics of the American Health Care Act, and how it will affect Seniors. 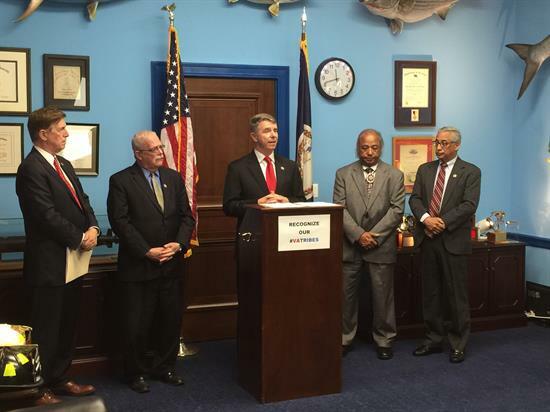 I held a press conference with Chief Stephen Adkins of the Chickahominy Tribe, Rep. Scott, Rep. Connolly, and Rep. Beyer. I sponsored H.R. 984, the Thomasina E. Jordan Indian Tribes of Virginia Federal Recognition Act of 2017, legislation that grants federal recognition to six Virginia Indian tribes. It passed the House by voice vote. I met with Chick Fil A owner Tim Abbott to give him, four other franchise owners, and 12 international students they are hosting, a tour of the Capitol. I was able to teach the students the history of our Capitol building and our government and discuss laws we have in place to help support small businesses and boost job growth. 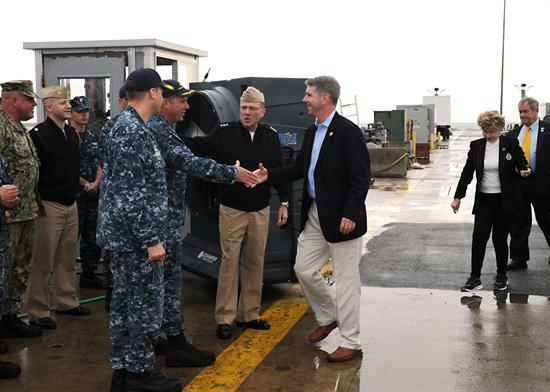 I met with the U.S. Fleet Forces Command team in Norfolk, Virginia. It is our job in Congress to ensure that our Sailors, and the ships they serve aboard, receive the necessary resources they need to defend our great country.